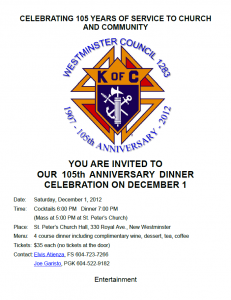 Westminster Council 1283 will be celebrating our 105th anniversary on December 1. We invite you to celebrate this special occasion with us. We hope to see you at our celebration.